Atlanta’s own James Hicks spent nearly three decades shooting celebrities and fashion spreads for major publications all over the world, but it was “RuPaul’s Drag Race” that inspired him to reach for a dream: this book of his work. Gay Atlanta knows its drag queens. So you’ll be glad to know too that after three years, “Drag Dolls, Dames & Divas” was published in 2014. But that’s only the beginning for the project. Morehouse grad Hicks has since returned to Atlanta and found inspiration in the city for a follow-up book that’s in the works now. The first “DDDD” includes quite a few famous faces, many from “Drag Race” – Manila Luzon, Shangela, Yara Sofia, Alexis Mateo, Jiggly Caliente, Tatianna, Mimi Imfurst, Pandora Boxx , India Ferrah, and Carmen Carrera. But you won’t find any Atlanta queens. Hicks plans to remedy that in his second installment. We caught up with him to talk about his inspirations, what he’s learned from the first book while making its follow-up, and which Atlanta queens he’s including in the second book. Describe your background and how did you get your start? Upon completion of my undergraduate studies at Morehouse College, I returned to my hometown of Washington, DC and began working as a photographer’s assistant. I soon branched off to begin my own freelance photography career. I first began by shooting editorial fashion for the Baltimore Sun, which then led to me shooting fashion advertising for a local department store and then onto shooting national ads for a large clothing company. I decided it was time to explore other markets, and I left DC for Miami and Paris before moving to New York, which ultimately captured my heart and imagination. In New York, I began shooting fashion and beauty editorial for several different publications, which then led me to photographing celebrities, including such iconic entertainers and legends as Smokey Robinson, Pam Grier, The Sister Sledge, Alicia Keys, Erykah Badu, Usher, Aaliyah, and Sean “Puffy” Combs to name a few. I have also photographed three of the Real Housewives of Atlanta: Kandi Burress, Cynthia Bailey and Kenya Moore. So what is “Drag Dolls, Dames & Divas”? It’s a coffee table book of beautiful, amusing, and satirical photographs of some of today’s most popular female impersonators… The images included in the book reflect many styles of drag, ranging from the beauty queen to the campy queen, the fishy (realistic) girl to the genderbender/genderfuck, and the celebrity impersonator to the girl next door. I have also included several quotes from legendary dolls, dames and divas and combined them with some of the images. What led you to approach the subject for a photography book? I have been a celebrity/beauty/fashion photographer for nearly 30 years. I decided I wanted to create a coffee table book of my work. However, I wasn’t led to produce a book of my already existing work. I wanted to create a new body of work. I wasn’t sure what that new body of work would be until my cousin asked me if I had seen “RuPaul’s Drag Race,” which I had not. After watching one episode, I realized what my subject would be: drag queens. What did you learn making the first book, and how is it affecting the sequel? The main thing that I have learned is patience. It took much longer for me to complete this project than I had anticipated – a little over three years. Finding the right people for pre- and post-production (retouching, graphic artist, printer) was quite challenging. However, they did appear when they were supposed to, and I was quite happy with their work. The other challenge was the financing. It was a quite expensive book to produce, and it took a while for me to get all the funds together. I am a very spiritual person, and I would say everything has happened as it should have and when it should have. How will the second book differ from the first book? The second book is definitely a continuation of the first book, but it will have more pages and a larger format. In my opinion, it is much edgier, with more unexpected locations (i.e. construction sites, a lumberyard, a trailer park, a horse farm), a stronger fashion component and even more fabulous quotes. I have always envisioned a series of three books in the “Drag Dolls, Dames & Divas” series. The third book will be more of a travel edition. I want to not only photograph queens all over the country but also abroad as well. I am very interested in capturing regional differences in drag styles. For my travels abroad, I not only want to photograph the local queens but I also want to take queens with me and create fashion shoots similar to Vogue and Harper’s Bazaar. I would like to collaborate with wig and clothing designers who specialize in costuming for drag queens. I am a big believer in “manifestation,” and I really see the series being quite beautiful and hugely successful. The second book comes after your relocation to Atlanta, so which local talents have you shot? [The second book also includes] “Drag Race” alums Nicole Paige Brooks and Phoenix, and several Lips Atlanta entertainers: Katy Cakes Taylor, Aria B. Cassadine, Monica Van Pelt, Mychelle Lacroix Dupree, Gia Sunflowers, Brent Star, Stiletto, Taejah Thomas, Alina Rage, Delerea Dae, St. Lucia and Aiden Zhane. When do you anticipate the second book will be ready? The second book is in the editing phase. I will be printing a prototype very soon. Because it is a very expensive venture, my hope is to connect with an investor who recognizes the beauty of this series of books. My hope is for release in late 2015/early 2016. Photos by James L. Hicks. The first installment of his “Drag Dolls, Dames & Divas” is out now. Find Hicks on Facebook and Twitter for the latest on his projects. 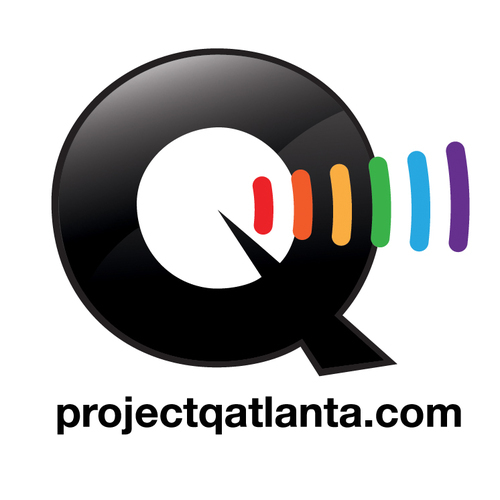 Originally published on Project Q Atlanta.